The second in our series of split tapes. 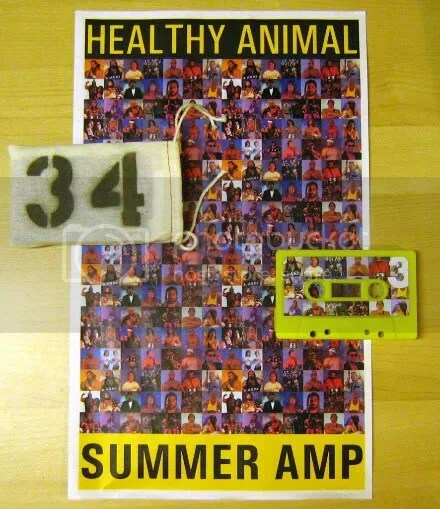 This time we’ve paired up Healthy Animal (FLA) with Summer Amp (BC). Side 3: Healthy Animal – 7X Untitled. Seven nameless compositions from the East Coast of the USA. Rhythmic and fuzzed-out, Healthy Animal’s music is as much a part of the No Wave and Krautrock traditions as it is the new schools of Chillwave and Shitgaze. But who cares about labels? HA bury pummeling rhythms under waves of blissed-out white-static psych haziness. Sounds kind of like a possible score to Charles Burns’ graphic novel Black Hole as performed by aliens who only know earth music from hearing Brian Eno on a poorly tuned radio-station. Side 4: Summer Amp – Danger Zone. Five pro-wrestling inspired psych/noise jams from the West Coast of Canada. Features members of New Yaki and The Madonna Bangers. 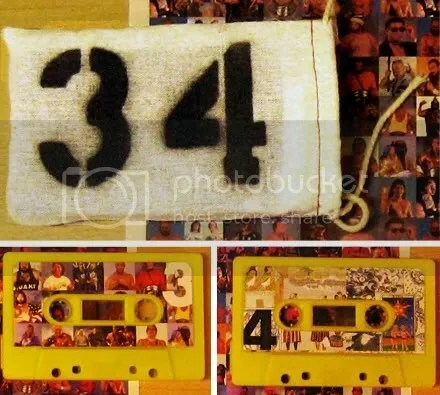 The vibe might be described as the sunburned hand of Tully Blanchard. Or tribal/industrial folk music for life at the end of the universe when there’s no electricity to play your Can and VxPxC records. 40 mins (total). Edition of 34. 2-sided full-colour poster insert. Cloth bag. Free mp3 download links. 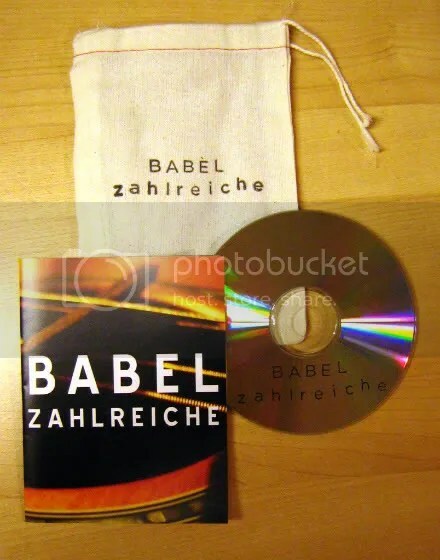 A new album from Jakob of Moonwood‘s percussion side-project, BABEL. Ten numerically composed pieces written for hammered guitar, kitchen utensils and various metal objects. Informed by Branca, Chatham and Neubauten, the music falls at the intersection of Cage‘s Three Constructions, traditional Japanese folk music and a jet turbine factory. Hand-stamped cloth bags and discs. Full colour inserts. Edition of 25. 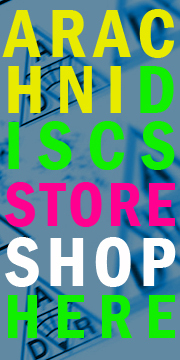 You are currently browsing the ARACHNIDISCS RECORDINGS blog archives for September, 2010.